The incident occurred around 1 p.m. at the Sri Durga Kanumilli apartment where Dalai stays with his wife Susheela on the first floor. 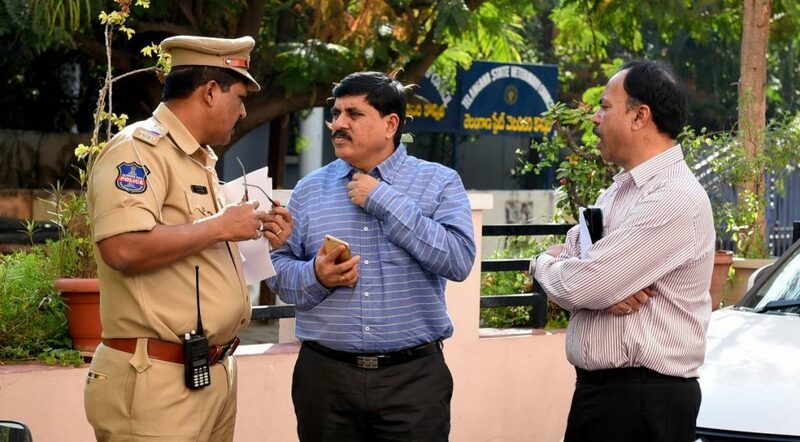 Hyderabad: A top official of the KBS Local Area Bank, one of the four local area banks in the country, was shot at by an unidentified person at his house at Shantinagar in Masab Tank here on Sunday. According to the police, Manmath Dalai, the managing director of the bank, was injured on the thigh and is stable now. As per the account provided by the watchman, Shankar, a man clad in a T-shirt and trousers walked into the building around 12.30 p.m. He showed Shankar a visiting card of Dalai and pointed to his car that was parked there. The watchman then called up Dalai’s wife over phone and on being asked to accompany him to their flat, he took the stranger there. Shankar said the couple invited him into their house and the man sat for a few minutes, speaking to them. “The couple told us that the man demanded some money from them and checked their house. Dalai told him he would pay the money but the stranger fired two rounds from a country-made weapon, one round in the air and the next on the floor. The second bullet hit Dalai on the thigh while the first struck the wall. Apparently, he tried to threaten the couple,” said DCP (West) A. Venkateshwara Rao. The shocked couple rushed inside the house and locked themselves up, by which time the stranger fled the spot. Susheela then rang up their neighbour, Ms. Shetty, who called up Shankar. The trio then rushed Dalai to a private hospital in Banjara Hills and the police also reached the spot by then. A tracker dog was pressed into service to trace the attacker. However, the dog moved around the building and later came on to the road before losing scent. A CLUES team also visited the spot and collected the bullet that hit the wall. Police are examining the footage from closed circuit cameras installed on the Shantinagar road to identify the culprit. Rao said the version of the couple too was being verified and all angles were being probed.